Thanks to Craig Scothern who has sent a scan of an old postcard that he has had for over 40 years. 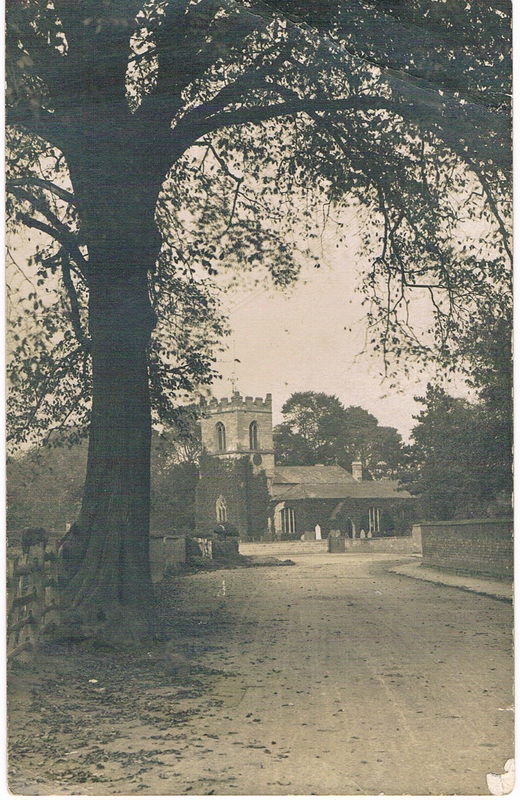 It is of Oxton church taken around 1920 at a guess by A J Loughton from Southwell. The road looks slightly different now and the tree has gone. 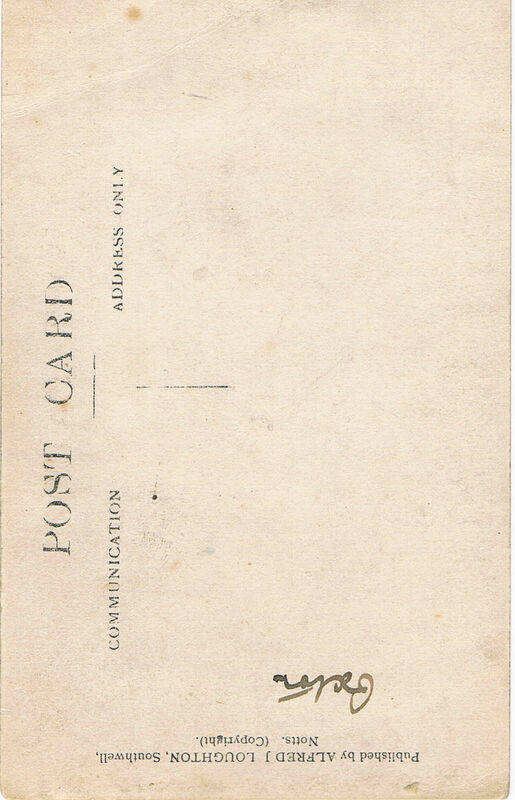 There is also a scan of the reverse side and it does say ‘Oxton’ written by A J Loughton himself. Craig was born and raised in Southwell and went to the Edward Cludd school. There is a memorial to Robert Scothorne, an ancestor, in the church.